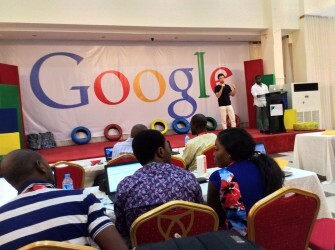 Google on Thursday 7th of June 2017, announced its plans to train 6 000 African journalists in data journalism skills by the end of February 2018. Google News Lab and the World Bank according to a press release are working with Code For Africa to empower journalists in Africa by giving them the necessary support to better understand the Web and how to use the tools available to them online. The Code For Africa Digital Journalism initiative will take place over the next 9 months (to February 2018) and see 6 000 journalists trained in 12 major African cities – Abuja, Lagos, Nairobi, Cape Town, Johannesburg, Durban, Casablanca, Dakar, Freetown, Dar es Salaam, Kampala, and Yaounde. Training will take place in three formats. Beginning June 15, in-person training sessions will be held in the cities mentioned above. In each city, we will conduct training in 3 newsrooms and training will be held twice a month for the duration of the initiative. Also there will be monthly study group meetings in collaboration with Hacks/Hackers to provide more focused, in-person instruction. Monthly meetings will take place in Cameroon, Kenya, Morocco, Nigeria, Senegal, Sierra Leone, South Africa, Tanzania and Uganda. While the global news industry faces a knowledge challenge with regards to digital tools, Africa, by virtue of its non-digital education systems, faces even greater odds in the battle for digital integration in news and storytelling. In 2016, Google announced its commitment to train one million African youth within one year to help them create and find jobs via the Web. “With the Digital Journalism initiative we want to contribute to the growth of Africa’s news and media ecosystem by training present and future practitioners on how to employ existing tools to tell stories, and support them to create locally-relevant tools that will reshape how Africans consume news,” he added.